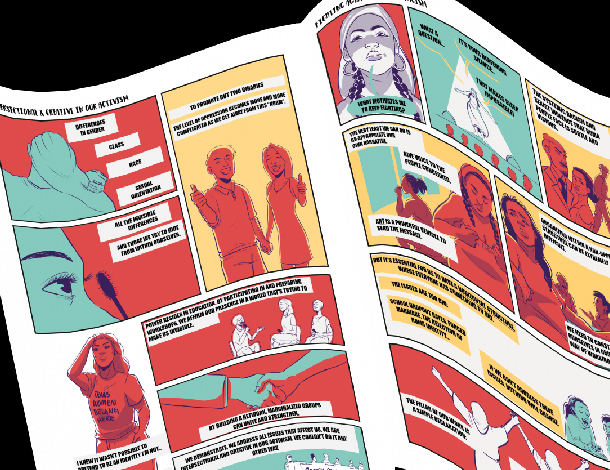 Around the world, feminist, women’s rights, and allied movements are confronting power and reimagining a politics of liberation. The contributions that fuel this work come in many forms, from financial and political resources to daily acts of resistance and survival. 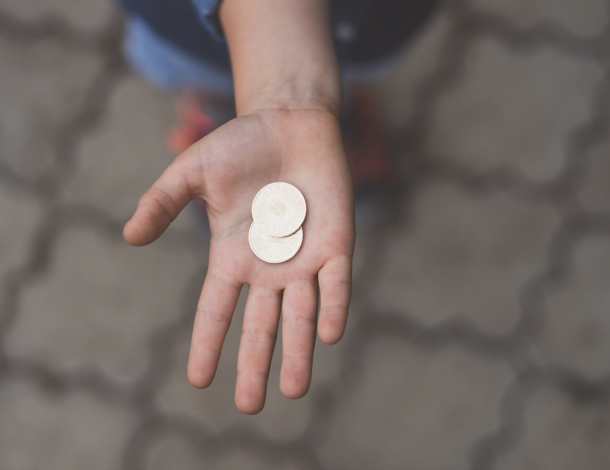 AWID’s Resourcing Feminist Movements (RFM) Initiative shines a light on the current funding ecosystem, which range from self-generated models of resourcing to more formal funding streams. Through our research and analysis, we examine how funding practices can better serve our movements. 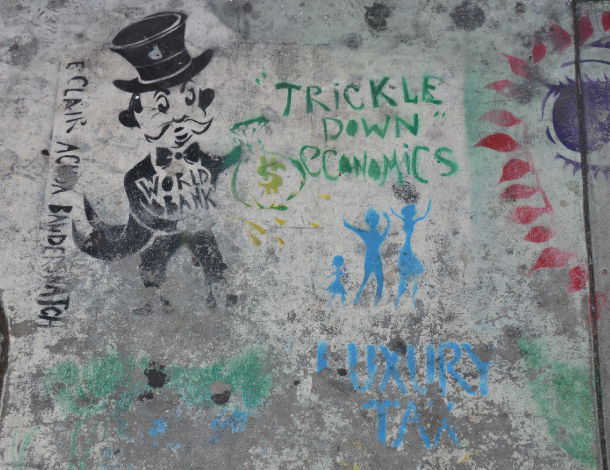 We critically explore the contradictions in “funding” social transformation, especially in the face of increasing political repression, anti-rights agendas, and rising corporate power. Above all, we build collective strategies that support thriving, robust, and resilient movements. Create and amplify alternatives: We amplify funding practices that center activists’ own priorities and engage a diverse range of funders and activists in crafting new, dynamic models for resourcing feminist movements, particularly in the context of closing civil society space. Build knowledge: We explore, exchange, and strengthen knowledge about how movements are attracting, organizing, and using the resources they need to accomplish meaningful change. Advocate: We work in partnerships, such as the Count Me In! Consortium, to influence funding agendas and open space for feminist movements to be in direct dialogue to shift power and money. 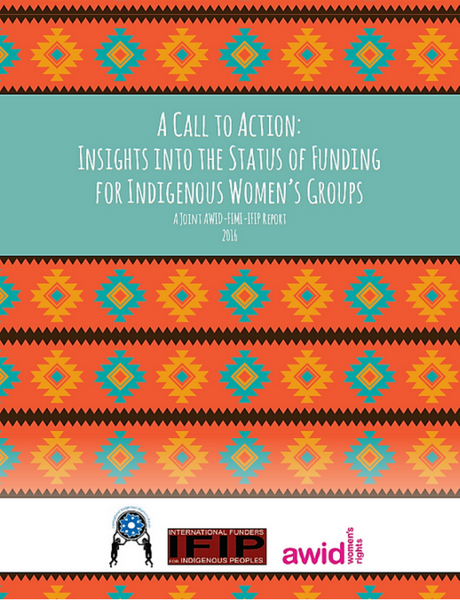 It is our hope that this report will open a dialogue and space for further unpacking of the provided data and results and will provide actionable guidance in how funding trends and donor recommendations can support Indigenous Women’s Organizations in a meaningful and effective way, ensuring a sustainable planet for our future generations. Who can fund my women’s rights organizing? Women’s rights and feminist organizations are sparking powerful changes across the world, yet AWID’s Where is the Money for Women’s Rights (WITM) research consistently shows that women’s rights organizing is significantly underfunded. What happens when an African Feminist dies? Mass tourism: Bad for culture but good for women?